As we grow towards middle age certain changes become apparent in our everyday lives. Groaning when we bend down, being irritable about new technology and the lack of ability to see things clearly when close to us becomes part of everyday life. History has not been kind to baby booming anglers; as our sight diminishes the fishing industry moves towards finer braided lines and clearer fluorocarbon leaders to increase our frustration. For me, the continual swapping from sunglasses to reading glasses has proven to be a real pain in the backside. 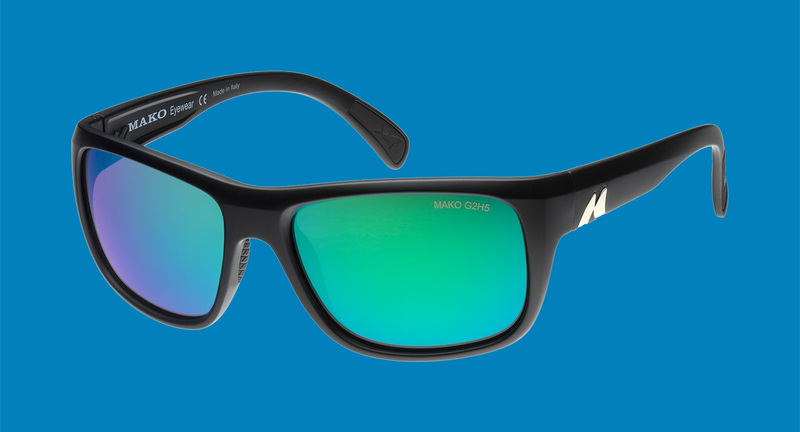 Mako sunglasses recently came to my rescue, with the delivery of a new pair of Mako multifocal prescription sunglasses. Mako have faithfully reproduced their stunning glass G2H5 polarised rose lens in my corrective prescription, and then fitted the lenses to the Mako frame of my choice. Being a multifocal lens, I can look through the top section of the lens to see distant objects clearly while the lower zone gives sharp vision to closer reading and knot tying focal lengths. In fact, most prescriptions – whether multifocal, long sighted or short sighted – can be produced in Mako frame and lens combinations to suit every wearer and outdoor activity. My chosen lens colour, the rose G2H5, was selected for its high contrast capabilities which allow me to see subtle differences in below water structure and individual fish at greater depth. There is no doubt that my stream craft when trout fishing is greatly improved wearing the Mako lenses, as the layout of the river becomes obvious. My lure then spends more time in the strike zone, spelling trouble for the resident brown and rainbow trout. It’s the same story on Port Phillip Bay, where the location of weed beds and sand patches mean the difference between a good and bad day on the calamari and whiting. 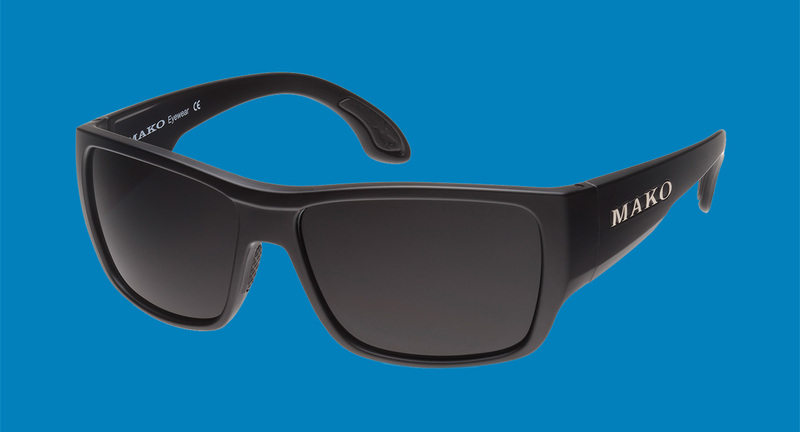 The G2H5 lenses are ground in Italy using a high density glass which produces a super thin lens to reduce the weight of the sunglasses. 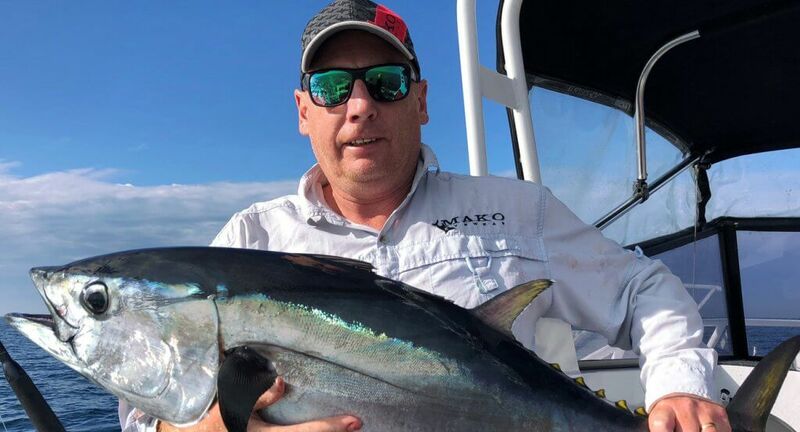 We anglers love the scratch-resistant properties of glass lenses, and the Mako G2H5 is the only glass prescription multifocal lens readily available in Australia. In addition to this, the green mirror is internal to ensure maximum durability of the lens surface. Mako use the latest digital freeform lens-grinding technology in their manufacturing processes, and the prescription accuracy and ease of use of these lenses is second to none. Wrap sunglass curves can distort prescription lenses of lesser technical specifications, but not so with these Mako lenses as they offer super-clear vision at all focal lengths. The smudge-free hydrophobic coating is a winner too, as any water that splashes on the lens simply beads up and drains off. That means no more wiping with dirty hands or shirts, actually making more smudges on the lenses than you started with! Please pay attention to the fit of the frame during your selection process, and try to leave a small amount of airflow around your face. Glass lenses have many great advantages, however they do tend to fog a little more than acrylic lenses and the airflow will eliminate this problem. 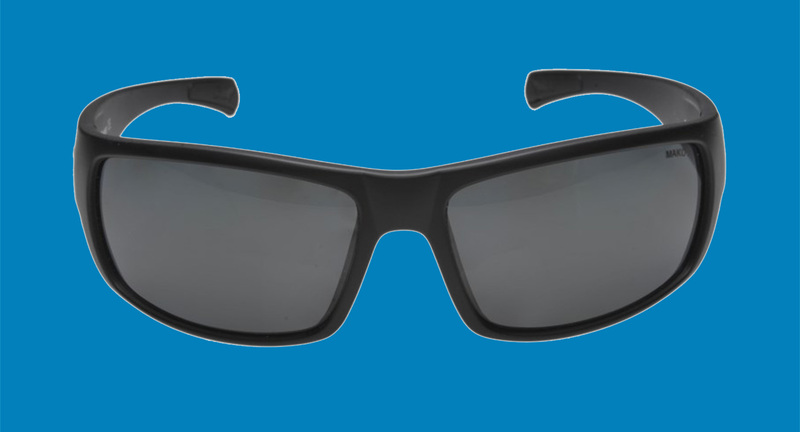 If you want to order a pair of prescription Makos, remember that some frames are less suitable than others. Wrap prescription lens design requires careful design calculations to keep the lens thickness low, and prescription accuracy over the entire lens surface. It requires significantly more expertise than standard reading glasses! Enquire about the ability of your chosen retailer to deliver these designs before committing your purchase, and always reserve the right to seek further advice. We all deserve the best vision solution available. From trout in a stream to tuna on the shelf, I have found my Mako multifocal sunglasses an irreplaceable part of my fishing day. David is a qualified Optical Dispenser & Mechanic with over 35 years industry experience currently managing Karingal Optical, a large Optometry Practice in Frankston. A keen angler and diver, he spends large amounts of time on and around the water in between consulting to his customers with their prescription and sunglass requirements.